A listing of 101 catchy software slogans from some of the biggest names in technology. These taglines focus on creating innovative solutions with new technologies. CA. Software that can think. Complete business solutions for petroleum. Compuware. The Leader in IT Value. Innovation for a Safer World. Leading the Digital Entertainment Revolution. Makes the decision for you. Powered by Intellect Driven by Values. Sage. Your business in mind. Setting the Standard in Device Programming. Siebel. It’s all about the customer. Software for the Open Enterprise. Technology at the speed of life. We Help You Invent the Future. Your Partner In Antenna Technology. 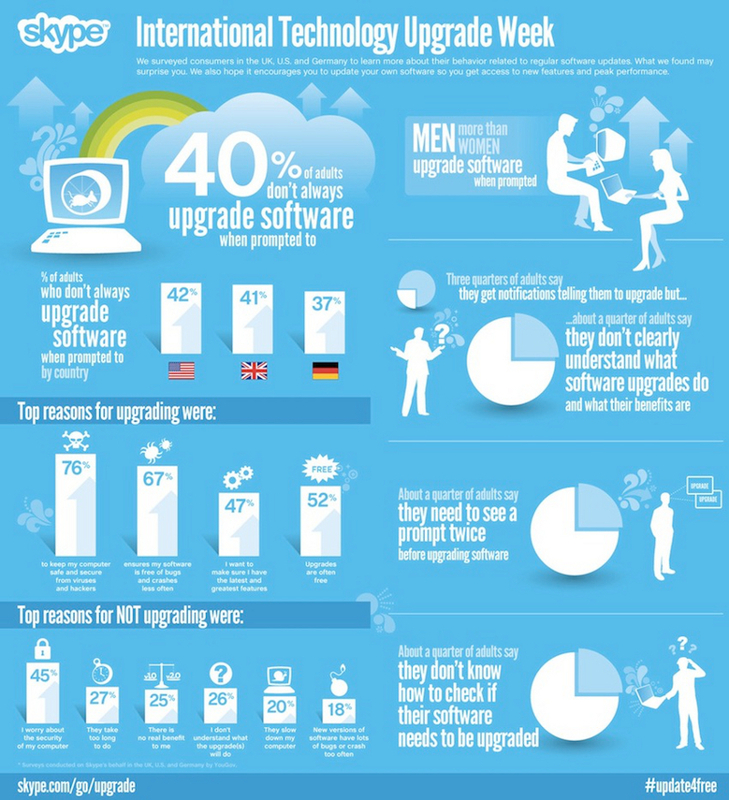 The below infographic outlines the benefits of upgrading software. The number one benefit for keeping your software upgraded is to maintain security of your system and protect yourself from viruses and hackers.